The hotel Riudor is exclusively for adults. Children under the age of 18 are not admitted. 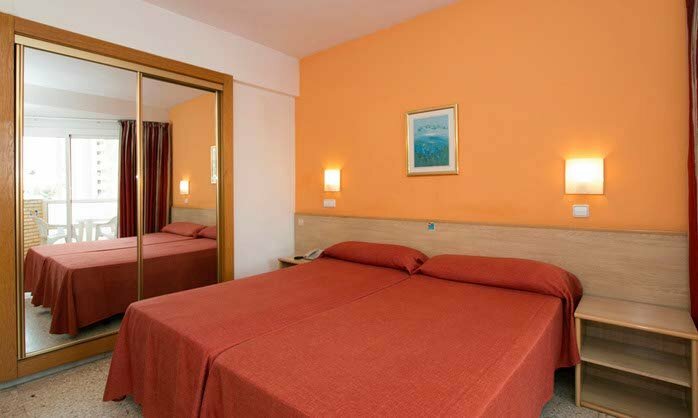 The rooms of the Hotel Riudor are equipped with a full bath, balcony,twin beds, individually controlled air conditioning, heating, cable television, satellite TV with channels such as Sky news, Sky sports, CNN and Eurosport, telephone, optional safe, and hiring a mini-fridge. 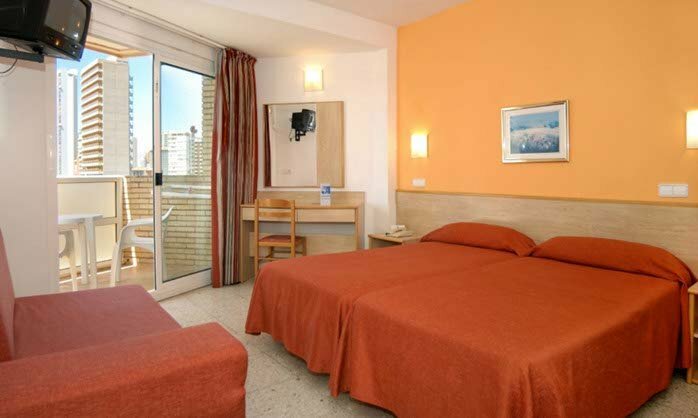 All rooms equipped with full bath, balcony, air conditioning, heating, cable television, satellite TV and optional safe. 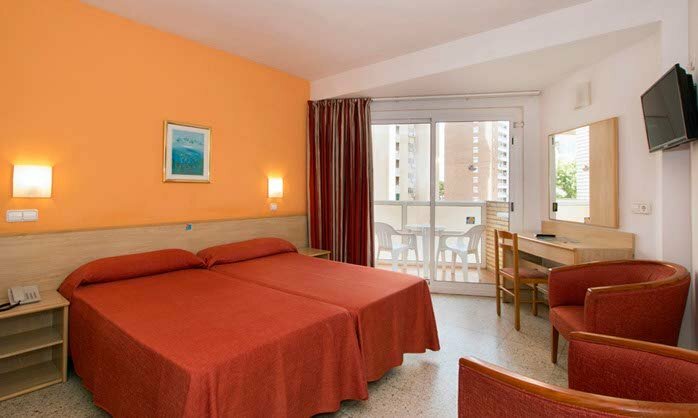 The rooms of the Hotel Riudor are equipped with a full bath, balcony, individually controlled air conditioning, heating, cable television, satellite TV with channels such as Sky news, Sky sports, CNN and Eurosport, telephone, optional safe, and hiring a mini-fridge. Our Club Superior rooms are refurbished standard rooms with a modern contemporary style, with your comfort very much in mind. All rooms have a balcony with furniture so you can enjoy the views from your room. The room allocation is subject to availability. Also included in our Club Superior rooms are the following extra services: Fridge (mini bar) with welcome drinks, tea / coffee making facilities, bottle of wine, pool towel (per person), Club amenities (daily replenishment of amenities), safety deposit box, bathrobe and slippers. Our Superior rooms are refurbished standard rooms with a modern contemporary style with your comfort very much in mind.